As it happens, I and others covered the report that NSA purportedly has not restarted its use of the Section 215 CDR program in the wake of finding serious over-collection on the same day that I Con the Record released another Semiannual report on 702, the one completed in October 2018, which covers December 2016 to May 2017. In my post on the Section 215 CDR claim, I suggested that function probably hasn’t shut down, but likely moved instead to a different authority, probably EO 12333. The NSA almost never gives up a function they like. Instead, they make sure they don’t have any adverse court rulings telling them they’ve broken the law, and move the function some place else. Given that the government withdrew several applications last year after FISC threatened to appoint an amicus, and given that the government now has broadened 12333 sharing, they may have just moved something legally problematic somewhere else. But these days, terrorists generally are not coordinating via phone calls or standard text messages, but communicate by using secure apps that don’t always create metadata trails, analysts said. That is, the suggestion is that because “terrorists” are using encrypted apps like Signal and WhatsApp rather than AT&T or Verizon’s own SMS apps, getting the latter via the CDR program is not as useful. But perhaps that explains the over-collection issue behind all this. From the start of the USA Freedom Act debate, I have noted that the definition used in the law — session identifier — did not match the intent of most members of Congress: that is, to track telephony contacts. Telephony contacts are just an increasingly minimal subset of the session identifiers than any mobile phone user will generate. And in the age of super-cookies, providers increasingly track these other session identifiers. If providers collect it, spooks and law enforcement will try to use it, and the expanded universe of session identifiers is no exception. One of several likely explanations for the over-collection that led the government to destroy all its records last year is that the FISA Court wrote something that distinguished between the two (basically, establishing a precedent that made fudging the issue legally problematic), leading NSA to “discover” the over-collection and quickly start deleting records before any overseer found the proof that it was no accident. At least, that same pattern has happened numerous times before. Anyway, back to surveillance whack-a-mole. When this has happened in the past, the NSA didn’t actually shut down the function. It instead moved it to another authority, preferably one with less court oversight. Of particular note, when NSA shut down the PRTT dragnet in 2011, it moved some of that function to EO 12333 (NSA had resumed a practice shut down during the Stellar Wind shutdown allowing the agency to chain on Americans) and Section 702. That’s why I want to point to something in the most recent Section 702 Semiannual Report (which, remember, reflects really dated reviews of Section 702 use. On top of being really dated, the report is, as all of these are, heavily redacted and largely boilerplate. Nevertheless, a close read of it (I do think I’m the only one who actually reads these!) can point to trends that can sometimes help identify problems on the same timeline that NSA’s Inspector General does. And this most recent Semiannual report, from the period mid-way into implementation of the new USAF CDR function, has this passage (which — I believe — includes a typo). This passage is not reporting a decrease, as the last clause of the paragraph claims; it is reporting an increase in the number of times Section 702 data appears in serialized (that is, finished) reports. The typo appears to be the result of retaining the claim that this is “the first and only decrease of for these ten reporting periods” from the prior report. What is likely true of this passage, however, is that it is reporting a new trend: “expanded use of Section 702” for some function. There are several likely candidates for the time period (early 2017). The increasing use of the 2014 exception, the ongoing shift of the old PRTT function (obtaining email metadata) are two. But another would be to use 702 — such that it is technically feasible — to obtain what metadata exists for encrypted apps. Notably, during precisely this period, Facebook was moving to more closely integrate WhatsApp with its platform generally. And this would give it access (but not content) of chats. Since then, it has probably become easier for Verizon and AT&T to identify who is using Signal by matching the individual keys generated for each contact (just as an example, you can set Verizon to show this or not, meaning they’ve got visibility onto it one way or another). Using 702 to get encrypted app metadata would only give you one degree of separation from a foreign target. But you’d get it with far less oversight than NSA undergoes with Section 215. Here’s the dirty secret about FISA. It is far easier for NSA to use Section 702 to get content and metadata than it is for NSA to use Section 215 to get just session identifiers. Section 702 couldn’t replace all of what Section 215 — if it were collecting on the session identifiers associated with encrypted chat apps — gets. But what it could get might be far more voluminous than the 500 million session identifiers collected in 2017. Update: Bobby Chesney — who seems to know more than he’s letting on — weighs in on the news here. The reason you do that is to lay out assumptions. And I’ve realized two things about how we’re counting numbers. First, one source of redundancy no one has considered is a SIM/handset redundancy. One thing phone dragnets are designed to do is correlate identities: track the various identities a suspect and his associates are using, so as to ensure you’re tracking all their possible communications. With cell phones, one thing you want to track is whether someone is swapping out SIM cards. This collection starts with identifiers from EO 12333 collection, which we know is stored logically by IMEI/IMSI. It is possible that providers get both those identifiers as separate identifiers and provide two separate streams of data, especially if they don’t coincide. If that were the standard practice, it would mean there’d often be a dual set of identical call records. The more interesting issue is telecom retention. As I Con the Record notes, a request will return historical, current, and prospective call records. We’ve talked a lot about minimum retention (and the two year data handshake that Verizon and T-Mobile agreed to). But we haven’t talked about maximal retention. As I noted, AT&T has call records going back decades, collected on any call that crossed its lines. We know that under the Hemisphere program, it usually could come up with call records for phones, whether or not they were AT&T customers. That means that the government could always submit requests to AT&T (again, whether or not the target used AT&T as a provider, because the target would surely have used AT&T’s backbone), and get years of records for the handset and SIM, if they existed, as well as for the two hops. This data would effectively create a mini-Hemisphere for the cluster around a given target, including call records for far more than the five years NSA used to be able to obtain data (though they might only retain that decades old data for 5 years). I’m not saying I think they’re doing that — I don’t. In public testimony, NSA and other agency officials have conceded that data really is most valuable in the first two years, so obtaining 20 years of data would just load down NSA with false positives. But it is a possibility — one that I hope Congress considers. FBI Is Not “Surveilling” WikiLeaks Supporters in Its Never-Ending Investigation; Is It “Collecting” on Them? In so ruling, Rothstein has dodged a key earlier issue, which is that all three entities EPIC FOIAed (DOJ’s Criminal and National Security Division and FBI) invoked a statutory Exemption 3 from FOIA, but refused to explain what statute they were using. 2 Defendants also rely on Exemptions 1, 3, 5, 6, 7(C), 7(D), 7(E), and 7(F). The Court, finding that Exemption 7(A) applies, does not discuss whether these alternative exemptions may apply. I have argued — and still strongly suspect — that the government was relying, in part, on Section 215 of PATRIOT, as laid out in this post. In addition to the Exemption 3 issue Rothstein dodged, though, there were three other issues that were of interest in this case. As I’ve pointed out in the past, if the FBI obtained datasets rather than lists of the people who supported WikiLeaks from Facebook, Google, Visa, MasterCard, and PayPal, FBI would be expected to deny it had lists of such supporters, as it has done. We’ve since learned about the extent to which it does collect datasets when carrying out intelligence investigations. Then there’s our heightened understanding of the words “target” and “surveillance” which are central to request 1. The US doesn’t target a lot of Americans, but it does collect on them. And when it does so — even if it makes queries that return their identifiers — it doesn’t consider that “surveillance.” That is, the FBI would only admit to having responsive data to request 1 if it were obtaining FISA or Title III warrants against mere supporters of WikiLeaks, rather than — say — reading their email to Julian Assange, whom FBI surely has targeted and still targets under Section 702 and other surveillance authorities, or even, as I guarantee you has happened, looked up people after the fact and discovered they had previous conversations with Assange. We’ve even learned that NSA collects vast amounts of Internet communications that talk “about” a targeted person’s selector, meaning that Americans’ communications might be pulled if they used WikiLeaks or Assange’s Internet identifiers in the body of their emails or chats. None of that would count as “targeted” “surveillance,” but it is presumably among the kinds of things EPIC had in mind when it tried to learn how FBI’s investigation of WikiLeakas was implicating completely innocent supporters. I noted the way FBI’s declaration skirted both these issues some years ago, and everything we’ve learned since only raises the likelihood that FBI is playing a narrow word game to claim that it doesn’t have any responsive records, but out of an act of generosity it nevertheless considered the volumes of FBI records that are related to the request that it nevertheless has declared 7(A) over. Rothstein’s order replicates the use of the word “targeting” to discuss FBI’s search, suggesting the distinction is as important as I suspect. Plaintiff first argues that the release of records concerning individuals who are simply supporting WikiLeaks could not interfere with any pending or reasonably anticipated enforcement proceeding since their activity is legal and protected by the First Amendment. Pl.’s Cross-Mot. at 14. This argument is again premised on Plaintiff’s speculation that the Government’s investigation is targeting innocent WikiLeaks supporters, and, for the reasons previously discussed, the Court finds it lacks merit. All of which brings me to the remaining interesting subtext of this ruling. Five years after the investigation into WikiLeaks must have started in earnest, 20 months after Chelsea Manning was found guilty for leaking the bulk of the documents in question, and over 10 months since Rothstein’s most recent update on the “investigation” in question, Rothstein is convinced these records may adequately be withheld because there is an active investigation. Rothstein is explicit that DOJ still has — or had, way back when she read fresh declarations in the case — a criminal investigation, not just an intelligence investigation (which might suggest Assange’s asylum in the Ecuador Embassy in London is holding up something criminal). In stark contrast to the CREW panel, this Court is persuaded that there is an ongoing criminal investigation. Unlike the vague characterization of the investigation in CREW, Defendants have provided sufficient specificity as to the status of the investigation, and sufficient explanation as to why the investigation is of long-term duration. See e.g., Hardy 4th Decl. ¶¶ 7, 8; Bradley 2d Decl. ¶ 12; 2d Cunningham Decl. ¶ 8. Yet much of her language (which, with one exception, relies on the earliest declarations submitted in this litigation) sounds like that reflecting intelligence techniques as much as criminal tactics. Here, the FBI and CRM have determined that the release of information on the techniques and procedures employed in their WikiLeaks investigation would allow targets of the investigation to evade law enforcement, and have filed detailed affidavits in support thereof. Hardy 1st Decl. ¶ 25; Cunningham 1st Decl. ¶ 11. As Plaintiff notes, certain court documents related to the Twitter litigation have been made public and describe the agencies’ investigative techniques against specific individuals. To the extent that Plaintiff seeks those already-made public documents, the Court is persuaded that their release will not interfere with a law enforcement proceeding and orders that Defendants turn those documents over. In the instant case, releasing all of the records with investigatory techniques similar to that involved in the Twitter litigation may, for instance, reveal information regarding the scope of this ongoing multi-subject investigation. This is precisely the type of information that Exemption 7(A) protects and why this Court must defer to the agencies’ expertise. I’m left with the impression that FBI has reams of documents responsive to what EPIC was presumably interested in — how innocent people have had their privacy compromised because they support a publisher the US doesn’t like — but that they’re using a variety of tired dodges to hide those documents. https://www.emptywheel.net/wp-content/uploads/2016/07/Logo-Web.png 0 0 emptywheel https://www.emptywheel.net/wp-content/uploads/2016/07/Logo-Web.png emptywheel2015-03-05 11:42:542015-03-05 19:29:42FBI Is Not "Surveilling" WikiLeaks Supporters in Its Never-Ending Investigation; Is It "Collecting" on Them? I Con the Record reissued less classified versions of two Section 215 orders: the March 2, 2009 one that sharply restricted the phone dragnet without much new declassified, and the June 22, 2009 one that dealt, in part, with FBI and CIA access to the data in both the Internet and phone dragnet, showing both those parts unclassified in the same order (previously the government had released two separate versions — phone, Internet — with different things declassified). The only new document was a November 23, 2010 order, modeled closely on a December 12, 2008 one. The earlier one had judged that the Stored Communication Act’s limits on collection did not preclude the use of Section 215 to collect phone records. This one judged that the Right to Financial Privacy Act did not preclude the use of Section 215 to collect financial records. Both opinions basically find that because those laws permit the use of National Security Letters to obtain such records without judicial review, clearly it’s okay to obtain the same records with judicial review under Section 215. Of course, we know that in the phone context — and so presumably also in the financial records context — the use of Section 215 also entailed bulk, potentially comprehensive collection. While some bulk collection occurred under NSLs, especially for phone records (we know that because that’s the only category of NSL that doesn’t get accounted individually in public records), and while we assume bulk collection occurred under Bush’s illegal program via other means, moving a new kind of record under Section 215 may represent the institutionalization of bulk collections of another type of document. Aside from revealing that this order pertained to financial records, we don’t know much about the underlying order. The order says the records were provided to the FBI (though WSJ and NYT reported CIA used Section 215 to get money order records). It uses “financial records” in scare quotes, so it is possible it is something beyond just bank records. And the fact that it was stamped by John Bates (then the presiding judge) suggests it may have been regarded as rather significant. All that said, this opinion doesn’t necessarily mark November 2010 as the date the government started using Section 215 to collect (presumably bulk) financial records. After all, the government collected phone records for over 2 years before answering the seemingly obvious question of whether doing so violated other laws. I suspect they did so in 2008 in response to questions then DOJ Inspector General Glenn Fine kept raising about Section 215. And it is perhaps instructive that Fine was, in November 2010, working on a new Section 215 review, one that has since been delayed, in part by ODNI and DOJ refusal to declassify a number of documents, for 1,371 days. Perhaps it’s just a remarkable coinkydink, but Fine resigned 6 days after this FISC ruling was issued. Two more details about this. First, as I have shown, DOJ appears to have been hiding details about Section 215 from Congress during this period, though the only financial records they would have been obliged to disclose were tax records. In addition, the number Section 215 orders started going up drastically in 2010, along with the number of orders the FISC modified to require minimization procedures. Nevertheless, the reports show us two new things. The FISC modified the proposed orders submitted with forty-three such applications in 2010 (primarily requiring the Government to submit reports describing implementation of applicable minimization procedures). The FISC modified the proposed orders submitted with 176 such applications in 2011 (requiring the Government to submit reports describing implementation of applicable minimization procedures). I’ve suggested that 176 modified applications may suggest the government has as many as 44 bulk collection programs, which would be renewed every three months (or, alternately, a whole lot more specific bulk collection orders). That is, this rise in what are almost certainly bulk collection orders came around the same time as FISC “Bates-stamped” the collection of financial records with Section 215. Finally, consider one more thing. Last year, 26 Senators raised concerns about credit card records; last week’s RuppRoge House Intelligence Committee dragnet fix doesn’t prohibit the bulk collection of credit card records (their list, I now realize, is based off the list of sensitive records currently written into Section 215). Credit card records are covered under FRPA. So while it would be a wildarsed guess, it would not be unreasonable to guess that some of this spike in bulk collection involved credit card records, approved by this November 2010 opinion. Any bets we’ll finally get that DOJ IG Report on Section 215, showing that’s what they’ve been doing? I’m just beginning to go through the House Intelligence Fake Dragnet Fix bill — what I will henceforth call the RuppRogers Fake Dragnet Fix. It does have some improvements — the kind of bones you throw into a legislation to entice members of Congress to back what is in fact a broad expansion of surveillance. Notwithstanding any other provision of law, the Federal Government may not acquire under the Foreign Intelligence Surveillance Act of 1978 (50 U.S.C. 1801 et seq.) library circulation records, library patron lists, book sales records, book customer lists, firearm sales records, tax return records, education records, or medical records containing information that would identify a person without the use of specific identifiers or selection terms. I find this interesting, for one, because it is yet another piece of evidence that suggests the government has been using Section 215 (and National Security Letters, probably) to make its own firearm registry, in defiance of congressional intent. With the list laid out in this letter from Ron Wyden and Mark Udall and others. I would assume from the difference that NSA was unwilling to give up certain kinds of bulk collection, notably credit card and non-tax return financial records. I think the use of Section 215 to collect gun records is patently illegal, even though I might support a gun registry if passed legislatively. But if we’re going to roll back that collection, let’s roll back the bulk financial record collection as well. It looks increasingly like the sole Section 215 success the FBI has had would be impossible under the claims about limits to dragnet collection NSA leaked last week. Last week, four journalists reported that the NSA doesn’t collect cell phone data in its phone dragnet program (they presumably meant, but did not specify, just the Section 215-authorized phone dragnet, which is just a small part of the phone dragnet). (WSJ, WaPo, LAT, NYT) As a result — these reporters claimed — as more and more Americans rely on cell phones, the NSA’s phone dragnet has come to cover just 20 to 30% of the phone data in the US. As I noted, the claim was particularly curious given that all the major examples in which the NSA has used the phone dragnet involved cell phone users. Still, even in those cases, it was possible that NSA got the phone records via interim hops. That is, if a land line user whose calls were picked up in the dragnet called two cell phones, those numbers would be identified, though their calls to other cell users would not (again, this is if these recent claims are correct). All that said, the sole case where the dragnet found someone with ties to terrorism they otherwise would not have identified, San Diego taxi driver Basaaly Moalin, increasingly looks to have been impossible under the terms now claimed by NSA leakers. That’s because Moalin and his known US-based interlocutor through whom the government says he communicated with Somali warlord Aden Ayro, hawala operator Mohamed Ahmed, both used cell phones, both from T-Moble, according to Moalin’s attorney Joshua Dratel. The government has said it identified Moalin on at least the second hop. If that interim hop was Ahmed, Ahmed’s calls to Moalin would not have been collected, if the NSA’s current claims are true. Assuming Ahmed was that interim hop, then, the dragnet could not have identified Moalin, at least not under the limits currently claimed by the NSA and the public claims made about the investigation into Moalin. There are several possible explanations for why the phone dragnet did find him. First, it’s possible the claims are entirely false, and that the NSA includes T-Mobile in its Section 215 collection. I think that’s unlikely; for a variety of reasons I believe just 3 providers — AT&T, Verizon, and Sprint — get Secondary Orders under the phone dragnet. It’s possible that an earlier WSJ story (cited by several of these reporters) correctly described how T-Mobile data gets included in the dragnet: via the backbone provider of the networks T-Mobile uses (which, if claims Verizon doesn’t provide cell data are true, would mean AT&T provided it). The National Security Agency’s controversial data program, which seeks to stockpile records on all calls made in the U.S., doesn’t collect information directly from T-Mobile USA and Verizon Wireless, in part because of their foreign ownership ties, people familiar with the matter said. The blind spot for U.S. intelligence is relatively small, according to a U.S. official. Officials believe they can still capture information, or metadata, on 99% of U.S. phone traffic because nearly all calls eventually travel over networks owned by U.S. companies that work with the NSA. When a T-Mobile or Verizon Wireless call is made, it often must travel over one of these networks, requiring the carrier to pay the cable owner. The information related to that transaction—such as the phone numbers involved and length of call—is recorded and can then be passed to the NSA through its existing relationships. Additionally, T-Mobile relies on other wireless companies to fill holes in its infrastructure. That shared equipment could allow the government to collect the data. If that’s the case, however, it means the only way the current claims about the Section 215 dragnet are true is if this collection happens offshore, counting as EO 12333 collection. Which would further mean that even with 20% coverage from domestic production, the NSA still gets most calls in the US. Finally, it’s possible the dragnet identified Moalin via collection entirely collected overseas. Which would mean the claims he was identified under Section 215 — made repeatedly to Congress (though not, curiously, in declarations in the lawsuits against the dragnet) — would be false. It would also mean his prosecution was based on the foreign collection of US person data under no more than an Executive Order. Here’s the remarkable thing about those two last possibilities. At least as late as March 2009, the NSA could not distinguish the data source for its dragnet query results. A query result from October 2007, when Moalin was first identified, might not distinguish between EO 12333 and Section 215 in the results — though at least according to FISC orders, the Section 215 data may not have gotten mixed in with the EO 12333 data yet. (By 2011, results came back tagged with XML tags to identify not only what authority the data was collected under, but which SIGAD collection point it had been collected from, though some data points get collected under more than one authority and collection point.) That means, unless NSA knows for a fact how it collected T-Mobile data back in 2007, it may not know how it found Moalin. And if it found Moalin off an EO 12333 search, NSA would not have needed even Reasonable Articulable Suspicion to search for connections. It is possible that if NSA initiated the search on any Somali but Aden Ayro (Ayro had ties with Al Qaeda beyond just his al-Shabaab membership and therefore would meet RAS guidelines), they would not have had Reasonable Articulable Suspicion that the identifier had ties to Al Qaeda. In any case, as I laid out, there are a number of ready explanations for how the dragnet identified Moalin even though he and one likely intermediary were using phones purportedly not collected under the dragnet. But those explanations either mean the recent claims about the extent of the dragnet collection are false, or there are many more questions about how Moalin got targeted. 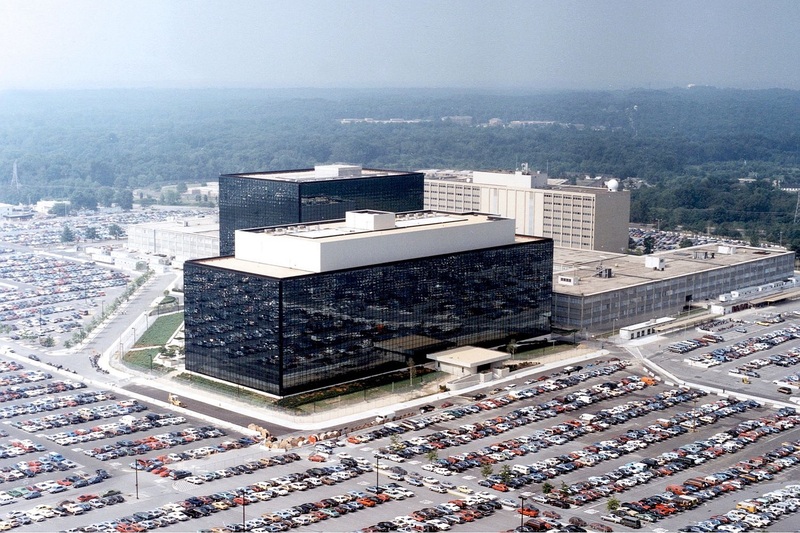 Will NSA Lose Access to All Verizon Cell Metadata in 12 Days Time? I believe the claim itself is true only in a narrow sense and the premises given to journalists underlying it are laughably false as presented (though have grains of truth). I suspect this leaked propaganda campaign might better be explained by the possibility that NSA will lose some of its existing access to Verizon cell data on February 21, when the Vodaphone/Verizon split becomes legally official. Some aspect of Verizon’s structure — and a good deal suggests it’s that dual-country ownership — has created problems in the metadata program since 2009. On May 29, 2009, Judge Reggie Walton started breaking out directions to Verizon’s Custodian of Records in its own paragraph of the Primary Order so as to clarify that it should only provide entirely domestic or one-end domestic calls under the Section 215 order, not entirely foreign calls. Then, in a July 9, 2009 Primary Order the government is still withholding, Walton actually shut down production from Verizon, apparently entirely. He restored production with the September 3, 2009 Primary Order, permitting retroactive collection of any records still in existence. We know Verizon was this provider because ODNI failed to redact Verizon’s name in the Verizon-specific paragraph in a recent document dump. While we don’t know why including foreign production presented such a problem (that 3 month period is the only period I know of during which production of any part of the phone dragnet was shut down), it did. But we do have hints of why Verizon’s international collection might be so sensitive. In August (a month before Verizon and Vodaphone agreed to split), Suddeutsche newspaper revealed that Verizon was among the 7 providers included in GCHQ’s Tempora program. BT, Vodafone Cable, and the American firm Verizon Business – together with four other smaller providers – have given GCHQ secret unlimited access to their network of undersea cables. The cables carry much of the world’s phone calls and internet traffic. In June the Guardian revealed details of GCHQ’s ambitious data-hoovering programmes, Mastering the Internet and Global Telecoms Exploitation, aimed at scooping up as much online and telephone traffic as possible. It emerged GCHQ was able to tap into fibre-optic cables and store huge volumes of data for up to 30 days. That operation, codenamed Tempora, has been running for 20 months. The Guardian explained that providers were compelled, under licensing requirements, to participate under the UK’s Telecom Act. Vodafone said it complied with the laws of all the countries in which its cables operate. “Media reports on these matters have demonstrated a misunderstanding of the basic facts of European, German and UK legislation and of the legal obligations set out within every telecommunications operator’s licence … Vodafone complies with the law in all of our countries of operation,” said a spokesman. That would seem to suggest Verizon’s legal presence in the UK made it subject to orders to participate in Tempora. This requirement, which started as early as 2008, involves the massive collection of both phone and Internet metadata which gets stored for 30 days. The kind of metadata that last week’s propaganda campaign claimed NSA didn’t get access to. Given Verizon’s role in Tempora, I suspect it is one of the corporate partners which accesses data (including, but no way limited to, cell location data) from the telephone links between networks under the FASCIA program. STORMBREW collects data from 27 telephone links known as OPC/DPC pairs, which refer to originating and destination points and which typically transfer traffic from one provider’s internal network to another’s. That data include cell tower identifiers, which can be used to locate a phone’s location. The agency’s access to carriers’ networks appears to be vast. And as Blaze describes (Mindrayge describes some of why this is so in this comment), accessing data at these points would give Verizon access to everyone’s cell data, not just its own. I believe that collection — because it was obligated by the UK, not the US, and because it took place offshore — would count as EO 12333 data, not Section 215 data. This is why I believe NSA does get comprehensive coverage of all cell data, just not under Section 215. NSA gets all the data it wants, just via GCHQ’s greater ability to obligate production than NSA’s. And it gets cell location data if it wants it too! Or it did, so long as the joint corporate structure of Vodaphone and Verizon created the obligation behind that production. Now, obviously, the hardware linking Verizon and Vodaphone won’t disappear in 12 days time. Verizon will still presumably operate the hardware where this massive data collection takes place. But if I’m understanding the legal leverage of the UK’s licensing law correctly, the UK and US’ collective ability to obligate production will change. As one possibility (there are others I’ll explain in a later post), NSA may have to rely on Section 215 to obligate production, rather than the UK’s more expansive law. Which, I suspect, is the real logic behind last week’s propaganda campaign on cell data. For the first time, NSA may have to rely on Section 215 rather than UK licensing laws to access Verizon’s (and probably some other providers’) cell phone metadata. And that’s happening at a time when Verizon is the dominant cell provider in the US. But even as it will need to rely on Section 215, the FISC has narrowed the scope of its interpretation of the law, to specifically exclude the cell location data that has been included in this collection for years. In other words, I believe the confluence of two events — the change in Verizon’s corporate structure and FISC’s effort to prohibit the application of Section 215 to location data — may have created significant new difficulties in maintaining what (I strongly believe) has always been comprehensive dragnet collection. Update: On March 4, Verizon’s General Counsel said the Vodaphone/Verizon split will have no effect on their legal obligation. https://www.emptywheel.net/wp-content/uploads/2016/07/Logo-Web.png 0 0 emptywheel https://www.emptywheel.net/wp-content/uploads/2016/07/Logo-Web.png emptywheel2014-02-09 18:09:532014-03-05 13:07:27Will NSA Lose Access to All Verizon Cell Metadata in 12 Days Time? I’ve been writing for months about the great big loophole providing access to the phone dragnet database. The problem of course, is that this means there is routine access to the database of all phone-based relationships in the United States that does not undergo normal oversight. We know this is a problem because we know NSA has found big chunks of this data in places where it doesn’t belong, as it discovered on February 16, 2012 when it found over 3,000 call records that had been stashed and kept longer than the 5 years permitted by the FISA Court. As of 16 February 2012, NSA determined that approximately 3,032 files containing call detail records potentially collected pursuant to prior BR Orders were retained on a server and been collected more than five years ago in violation of the 5-year retention period established for BR collection. Specifically, these files were retained on a server used by technical personnel working with the Business Records metadata to maintain documentation of provider feed data formats and performed background analysis to document why certain contact chaining rules were created. In addition to the BR work, this server also contains information related to the STELLARWIND program and files which do not appear to be related to either of these programs. NSA bases its determination that these files may be in violation of BR 11-191 because of the type of information contained in the files (i.e., call detail records), the access to the server by technical personnel who worked with the BR metadata, and the listed “creation date” for the files. It is possible that these files contain STELLARWIND data, despite the creation date. The STELLARWIND data could have been copied to this server, and that process could have changed the creation date to a timeframe that appears to indicate that they may contain BR metadata. The bill the Intelligence Committee passed out of committee yesterday not only codifies this practice, but exempts this practice from the explicit limits placed on other uses of this database. Here’s how it describes this access. (iii) as may be necessary for technical assurance, data management or compliance purposes, or for the purpose of narrowing the results of queries, in which case no information produced pursuant to the order may be accessed, used, or disclosed for any other purpose, unless the information is responsive to a query authorized under paragraph (3). Note, I’ve never seen this access described in a way that would include “narrowing the results of queries” before. I’m actually very curious why a tech would need to directly access the database, presumably after a query has already been run, to narrow it. Isn’t that contrary to the entire haystack theory? In any case, the rest of the bill relevant to the phone dragnet effectively exempts this access from almost all of the oversight it codifies. The requirement for a written record of the Reasonable Articulable Suspicion and identity of the person making the query does not apply (see 2 A and B). Since no record is made, the FISA Court doesn’t review these queries (6A) and these queries don’t get included in the public reporting (b)(3)(C)(i). I don’t see where the bill requires any record-keeping of this access. The requirement that the data be kept secure specifically doesn’t apply. And the requirement that personnel accessing the database for these purposes (4) be limited and specially trained doesn’t apply. A court order issued pursuant to an application made under subsection (a), and subject to the requirements of this subsection, shall impose strict, reasonable limits, consistent with operational needs, on the number of Government personnel authorized to make a determination or perform a query pursuant to paragraph (1)(D)(i). The only limit that appears to apply to the queries from this data management access of the database is the 5 year destruction. Now, I think the FISA Court made tentative bids to limit some of the activities in 2009. But this language seems to undermine some of the controls the Court has placed on this access (including audits). In short, in a purported bid to raise confidence about the NSA creating a database of every phone-based relationship in the United States, the Intelligence Committee has actually codified a loosening of access to the database outside the central purpose of it. It permits a range of people to access the database for vaguely defined purposes, it permits them to move that data onto less secure areas of the network, and it doesn’t appear to require record-keeping of the practice. But what could go wrong with permitting tech personnel — people like Edward Snowden — access to data with less oversight than that imposed on analysts? Update: Added the language from the 2012 violation to show how clueless the NSA was about finding this data just lying around and its inability to determine where it came from. I’m working on a longer post on David Kris’ paper on the phone [and Internet] dragnets. But for the moment, I want to note that he strongly implies the US is relying on 18 U.S.C. § 2511(2)(f) to collect international metadata. He does it when he first introduces the phone dragnet secondary order (page 2). And he does it just after suggesting that the FISA Court may have approved the phone dragnet in 2006 — however shabby the legal case — just to have it under FISC supervision (note, he also nods to the Internet metadata dragnet, but as I’ll note he goes through some contortions to avoid addressing it all that directly). This is important because it is precisely the clause (the one Kris cites above) that the Office of Legal Counsel reinterpreted in 2010 to cover past illegal access to phone metadata, including US based phone metadata. The existence of that memo was first disclosed by Glenn Fine in his Exigent Letter IG Report. (See also this post.) He described how, in the context of its effort to clean up the legal process free access of phone data from the telecoms, DOJ had ordered up this opinion (though they claimed they were not relying on it). In 2011, DOJ provided enough information in response to a FOIA to make it clear the memo pertained to this passage. Now, in context, Kris is just implying that the government is using this clause to get the telecoms to voluntarily turn over foreign to foreign communications. Foreign communication means a communication that has at least one communicant outside of the United States. All other communications, including communications in which the sender and all intended recipients are reasonably believed to be located in the United States at the time of acquisition, are domestic communications. That is, so long as just one end of a communication is foreign, the NSA considers it a foreign communication (and therefore the telecoms can voluntarily disclose it under their interpretation of this clause of ECPA). And remember: this opinion reinterpreting ECPA was written under the direction of — if not written by — David Barron, the guy Obama wants to have a lifetime appointment on the First Circuit. I need to think through whether this means what I think it means. But it sure seems like Kris is not only saying that the government did use this loophole to collect metadata involving foreigners (and Americans). But given that DOJ claimed it could use this memo to clean up its entirely domestic communications problems (per the Fine IG Report), it sure seems like Kris is saying if we close the Section 215 collection, the government will just resume using ECPA. Update: I just realized this post, which adopts an argument I made almost two weeks ago (that there is no original opinion for the phone dragnet) was written by Marty Lederman (who was at OLC during roughly the same period that Barron was). Which is why I find it weird that Lederman makes an extended argument noting that an earlier clause in ECPA tweaked during the original PATRIOT Act bill prohibits this sharing of phone metadata. You wouldn’t know it from Judge Eagan’s opinion–or from David Kris’s paper, for that matter–but Congress has actually considered the specific question about whether and under what circumstance service providers may disclose to the government the telephony metadata of their customers, and has enacted a statute dealing specifically with that question–a statute that expressly prohibits such disclosure. Moreover, the prohibition in question was enacted as part of the very same law that includes Section 215, namely, the PATRIOT Act of 2001. Statutory language doesn’t often get much clearer than that: A provider of remote computing service or electronic communication service to the public — a category that includes phone service providers — cannot knowingly convey consumer records or information to any governmental entity. Remarkably, Congress added this prohibition to ECPA in section 212(a)(1)(B)(iii) of the 2001 PATRIOT Act itself–the same law in which section 215 expanded the “business records” provision upon which the government relies here. The two provisions are only three pages apart in the Statutes at Large. In other words, the government is relying here upon a broad, general “business records” provision included in the PATRIOT Act; but in that very same legislation, Congress included another provision specifically involving the business records of telephone customers, and in that more specific provision it precluded the very sort of records transfer at issue here. The thing is, I find it almost impossible to believe that Lederman wouldn’t know about (or even didn’t review) that January 8, 2010 opinion. And he certainly must know what the implications of invoking foreign communications in the context of 18 U.S.C. § 2511(2)(f) to be. Update: I missed one other mention of 2511(2)(f), which comes in Kris’ incomplete description of all the violations in the phone dragnet program (it is incomplete, in part, because he cites from the June report of the problems rather than the August filing presenting them, which includes several more, probably more troubling violations; but he also misses details of a few of the other violations which is particularly interesting because he, of all people, must know this stuff). His inclusion of it here is interesting because this violation is likely the collection that Reggie Walton shut down temporarily on July 9, 2009. Does that mean they just kept collecting from this provider (I wonder, by the way, whether it’s something exotic like Skype), and deemed it covered by 18 U.S.C. § 2511(2)(f)? If so, Kris would have been among those who made the decision to do so. As I’ve noted, yesterday Ron Wyden got Keith Alexander to refuse to answer a question about whether the NSA has ever collected or made plans to collect Americans’ cell-site information in bulk. Wyden: Senators Udall, Heinrich and I and about two dozen other senators have asked in the past whether the NSA has ever collected or made any plans to collect Americans’ cell-site information in bulk. What would be your response to that? In addition to saying NSA is not doing so under Section 215, Alexander also pointed to two classified responses he would not repeat in unclassified setting. Which I think confirms — as if there was any doubt — that the answer is yes, the NSA has at least planned, if not actually collected, cell-site location in bulk (though not necessarily under Section 215). That said, many people are treating this as Wyden’s first provocative hearing question on the topic. This one — from February 2012, just after the US v Jones decision found use of a GPS to constitute a search — may provide some important insight onto the timing and rationale behind such bulk collection.